High-quality t-shirt based on the hit Voltron series! 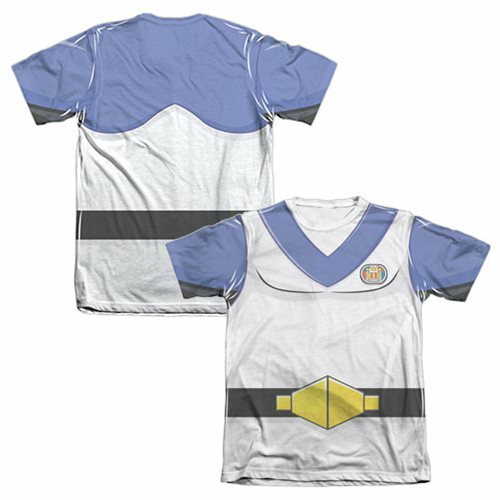 Commit yourself to looking good, with this Voltron Blue Lion Pilot Lance Costume T-Shirt! The t-shirt features the costume of the Blue Lion Pilot Lance from the Voltron series. The Voltron Blue Lion Pilot Lance Costume T-Shirt is hand-printed in the USA using a dye sublimation printing process that creates slight imperfections over seams or folds and are unique to and a part of each item. Made of 65% Polyester and 35% cotton.